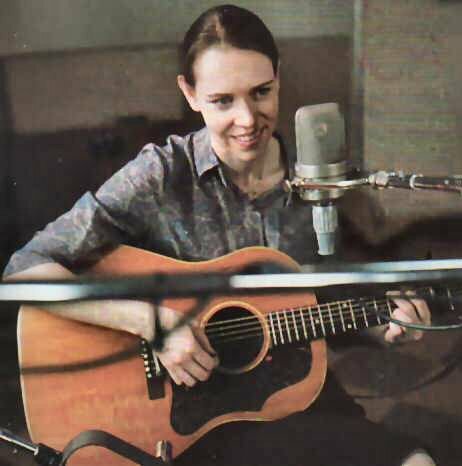 Gillian Welch may be the greatest working songwriter (I can’t think of a credible alternative), but at least two of her albums are interesting failures rather than works of consistently high quality. They’re her second and fourth, 1998’s Hell Among the Yearlings and 2003’s Soul Journey. Soul Journey is the more easily understood. Perhaps sensing that Time (the Revelator) was a masterpiece of what Welch and David Rawlings refer to as their ‘duet music’ and that they probably couldn’t top it by doing the same thing again, they embraced a wider range of instruments than their customary two guitars (or guitar and banjo) and two voices. Initially, this slightly bigger palette of drums, electric bass and guitar and fiddle is welcome. The sound if woody, warm and confident. Look at Miss Ohio, which opens the record is a fine song, and the rhythm section (the drums on the album were all played by Rawlings and Welch; the bass by Rawlings, Welch or engineer Matt Andrews) are very far from timid. Unfortunately they’re also very far from subtle and very far from supple. This is a rhythm section that makes Crazy Horse’s Ralph Molina and Billy Talbot sound like Bernard Purdie and Chuck Rainey playing with Steely Dan. The ham-handedness is quite charming at first, but over the course of several more songs in this slow, four-square idiom (the unfortunate One Monkey, the somnambulant Lowlands, Wrecking Ball), it becomes very wearisome. Wayside is a bit of an exception — the feel is different, the internal balance of the drums is different; possibly Welch and Rawlings swapped roles for this one — but the writing is a bit flabby. There are more verses and choruses than needed, given the lack of melodic development. Wrecking Ball requires a bit more comment. It is the album’s big missed opportunity. Something close to a great song, spoiled by a basic track that wouldn’t have got past a third-party producer and some sketchy, messy playing from the sitting-in members of Son Volt and fiddler Ketcham Secor. Perhaps there’s a live version out there from their tours with Old Crow Medicine Show that properly captures the swagger of this slab of heroic self-mythology; the Soul Journey version’s a pallid demo. So that’s about half the album accounted for. What of the rest? The readings of Make Me a Pallet on Your Floor and I Had a Real Good Mother and Father capture Welch at her most intimate and raw; indeed, with the electrical noise that runs throughout the first and the general gauziness of the second, this is also — apparently — off-the-cuff, lo-fi Welch. Nevertheless, they work; the strength of the (traditional) material and the soft, unadorned performances make them among the album’s most compelling moments. No One Knows My Name (the Carter Family’s Motherless Children, with Welch’s own lyrics) is similarly effective, although a slightly bigger, more polished production. I Made a Lover’s Prayer recalls the Ryan Adams of Heartbreaker, all mournful harmonica and flatpicked guitar. More of a mood than a song, it is perfect as the album’s penultimate track (although as we have noted, the payoff falls flat). Whether it needed to stretch itself over five minutes is another matter. One Little Song is something else again: Soul Journey’s finest, most indelible moment, and possibly the best song she’s written since Time (the Revelator). This is Welch at her sweetest, her most wry, rueful, optimistic, all at once. I know of no more perfect song about songwriting, or any kind of writing; about the fleeting satisfaction of having pulled something that you can be proud of for a while, until you’re hit by the realisation that you need to do it again, because that’s what writers do. Between them, Welch and T.S. Eliot have said everything there is to say about writing. As opposed to being little tiny folk songs or traditional songs, they’re really tiny rock songs. They’re just performed in this acoustic setting. In our heads we went electric without changing instruments. That’s been Welch’s standard line on what happened between Hell Among the Yearlings and Time (the Revelator) to make the latter album so distinct from the former. In a piece I wrote in the first few weeks of this blog (one I’m not too thrilled with in retrospect), I pointed to a slightly different phenomenon: Welch and Rawlings abandoned murder ballad-, mountain music-style lyrics and started writing lyrics that, while using plainspoken contemporary language, were slices out of the middle of a narrative, or were associative, meditative, hallucinatory and contemplative (I Dream a Highway is all of these things). They also reinstated verse-chorus forms, having largely abandoned them on Yearlings. This change of approach may simply have been the other side of the coin to Welch’s ‘going electric’ concept, but while that’s a cute phrase to feed an interviewer, it doesn’t really get at the substantial change in writing approach that had happened in the space of one album cycle. Even in the arms of death. Sorry, but no. This approach, this aesthetic, was misconceived, wrongheaded, juvenile even. Abandoning it was Welch’s artistic salvation. If she hadn’t done so, she’d have ended up down the same dead-end road as Cahoots-era Robbie Robertson. So Hell Among the Yearlings, impoverished melodically by her own high standards and with a lyrical approach that too often comes over as gauche, is the only true failure in her canon, and even so it contains songs that would be career highlights for lesser talents. But the lesser albums of major talents are often as fascinating as their unqualified successes, and I revisit both albums as regularly as Time (the Revelator), an album so overwhelming it doesn’t seem to fit easily into daily life. It requires the time to listen to and absorb the whole thing. A few songs lifted from each of Yearlings and Soul Journey, added to some choice cuts from Revival and The Harrow & the Harvest, on the other hand, makes a perfect playlist. This entry was posted in Music and tagged acoustic guitar, Cahoots, Caleb Meyer, David Rawlings, End of the Trail, Epiphone Olympic, f-holes, flatpicking, Gibson J-50, Gillian Welch, going electric, Good til Now, Hell Among the Yearlings, Honey Now, I Dream a Highway, I Had a Real Good Mother & Father, I Made a Lover's Prayer, I'm Not Afraid to Die, kitsch, Look at Miss Ohio, Lowlands, lyrics, Make Me a Pallet on Your Floor, Matt Andrews, Miner's Refrain, mountain music, My Morphine, neo-bluegrass, No one Knows My Name, One Little Song, One Monkey, One Morning, records that sound great!, refrains, Revival, Robbie Robertson, Rock of Ages, song structure, Soul Journey, strophic song, T-Bone Burnett, The Devil Had a Hold of Me, The Harrow & the Harvest, Time (the Revelator), Wayside, Wayside/Back in Time, Whiskey Girl, Winter's Come and Gone, Wrecking Ball on May 17, 2014 by rossjpalmer.